After hearing SO MANY fantastic things about this new matcha-centric cafe on Hastings called “Basho Cafe”, I finally got to check it out with Meta Knight. About time! 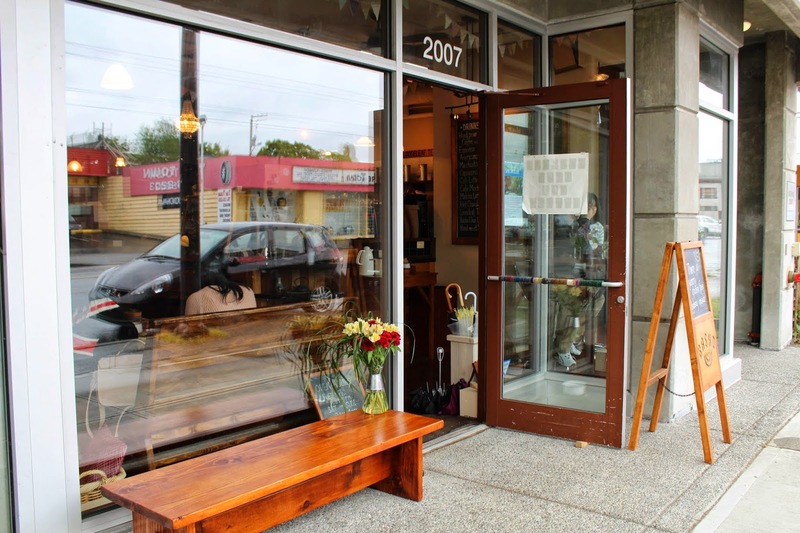 Basho Cafe is owned by a Japanese family and it is quite apparent when you step foot into the cafe. Their hours are quite limited though (M-F 9-5pm, S-S 9-4pm) so we almost didn’t make it. We got here RIGHT at 3:45pm on a Sunday. Basho is not close to any skytrain station so you’ll have to purposely make your way here by car or bus if you want to try it out. 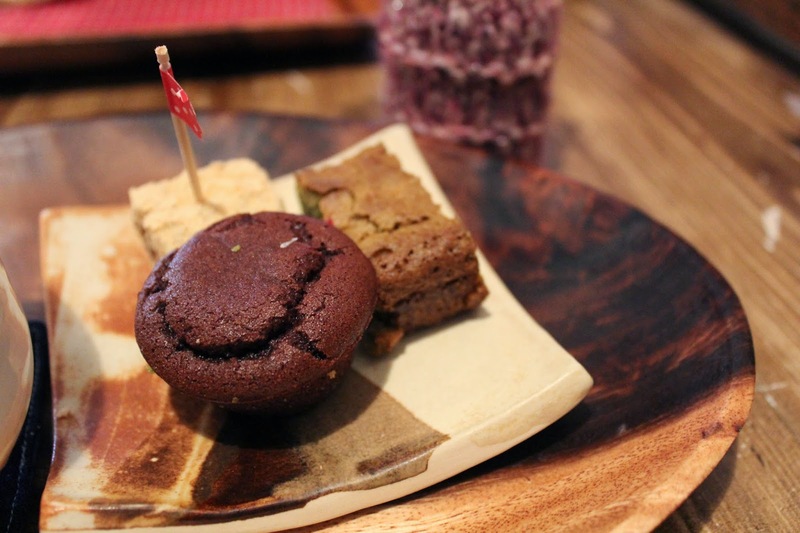 There were barely any goodies left but I managed to snag a pic of their mochi-mochi brownie, matcha white chocolate brownie, and miso madeline. 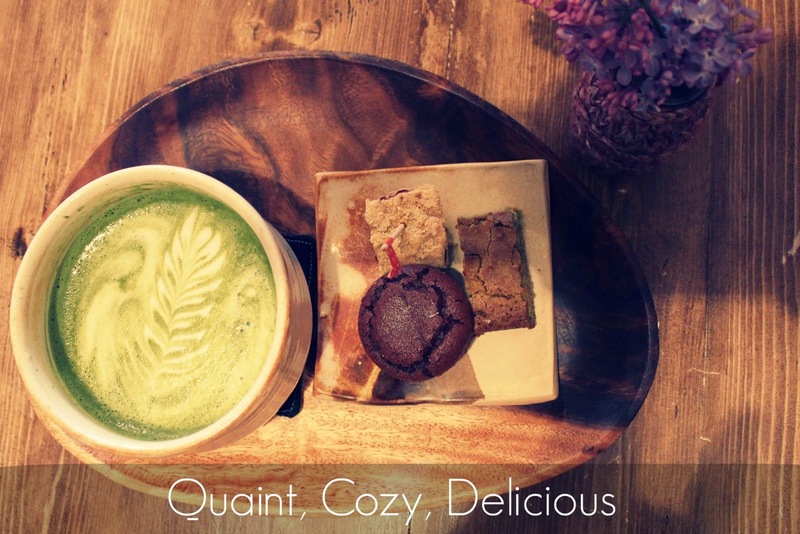 Their Afternoon Set ($5.00) contains three assorted sweets and a matcha latte. Great deal considering they use quality matcha not only in their drink but also in their desserts. 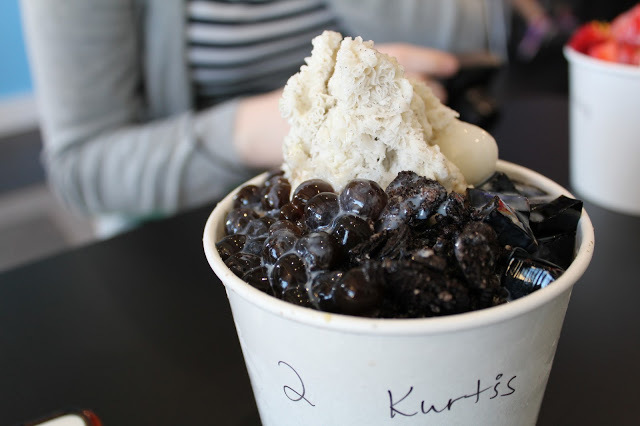 This mochi-mochi brownie was oh so delicious! Tastes like a brownie with a mochi chewy consistency. 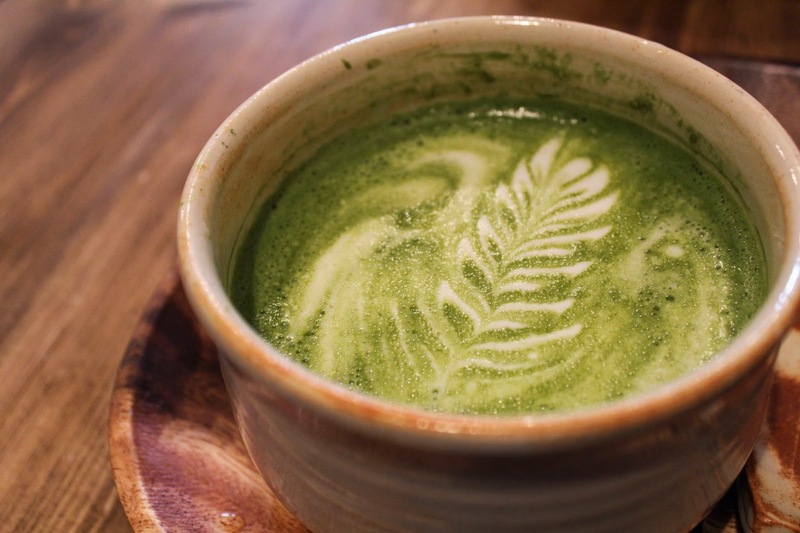 You get the real deal here when it comes to their Matcha Latte. Served in a traditional Japanese bowl the way its suppose to be (not cup), its not only fragrant but it has incredibly depth. Be forewarn, this latte isn’t sweet. There is no additional pre-sweetened sugary stuff here. 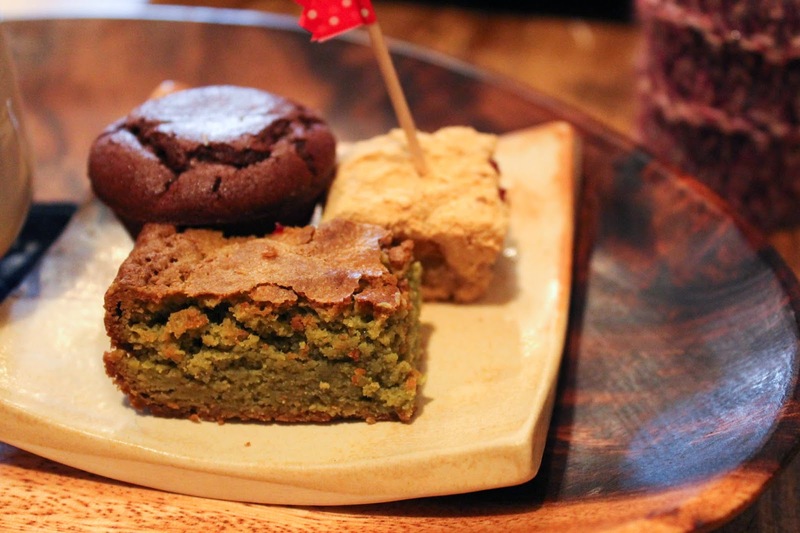 The white chocolate matcha brownie was pretty sweet which paired nicely with the unsweetened matcha latte. 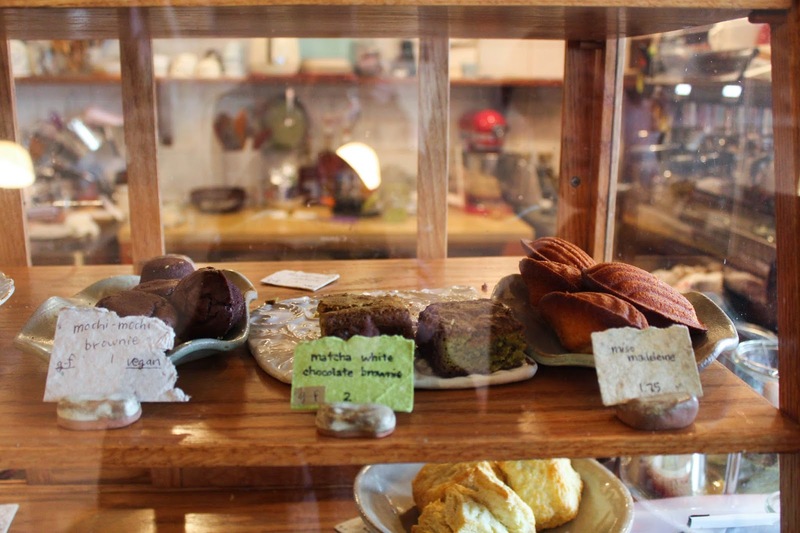 Overall, Basho is a quaint little cafe that I’d be happy to return again and again. Next time I’m going to get the tuna tataki!